Accountability Alert Sierra Leone (AASL) has partnered with Janaagraha “I Paid a Bribe” in India to campaign and take action to eradicate bribery, by empowering citizens with the tool to report bribery and help uncover the true cost of corruption and bribery in Sierra Leone. The new website is interactive and will measure a citizen’s bribery experiences. It will show the city or town where the bribery took place, what the bribe was for, how much was paid, and the department or institution where the bribe was paid. Information from the national bribery reporting website will be published and used to follow-up with the ministry or department for corrective action and to improve performance. 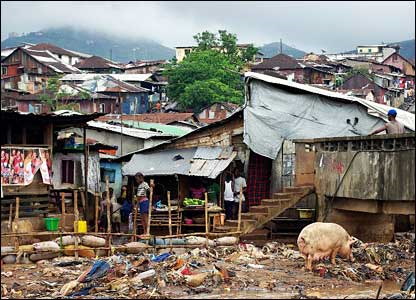 Sierra Leone has been described as ‘the most corrupt nation’ on earth, according to Transparency International in 2013. The Ebola audit report released in March 2015, with some US$18 million unaccounted for, illustrates the seriousness of bribery and corruption in Sierra Leone. The audit report reinforces the need for urgent and collective response in eradicating graft, which is pulling back the country’s development effort, with dire consequences of extreme poverty across the country. This is a fight that must be won through the use of technology, if the country is to enjoy full economic recovery for all, not just for the very few at the top and those close to power. Corruption is rife in Sierra Leone because of weak and broken governance structures and processes used in the management of public accounts and services. This has encouraged and created the conditions for the culture of bribery and corruption to permeate from the top of society to the average citizen on the street. The lack of political urgency to fix the problem has continued to fuel a bureaucratic practice that gives the general public very little option in conducting genuine daily transactions for basic public services, without paying bribe, giving tip or kola, or offering a ‘brown envelope’. Without paying a bribe, there is no guarantee that services sought will be timely provided and with the expected quality. What we have is very little or no transparency and accountability on the part of those running state institutions and public services. And with the weak internal controls in place, public officials are failing to maximize the collection of government revenues, and even the little that is collected is misappropriated. Auditor General – Mrs. Lara Taylor-Pearce is consistent in making the case for our ‘bad financial behaviour’ and corrupt practices, sighting leakages in the public accounts, largely in the area of cash management, procurement of public goods and services, poor records management, and asset protection. According to World Bank estimate, developing countries including Sierra Leone are losing annually, between $20-40 billion due to corruption and bribery. The 2012 Audit report of Sierra Leone showed that in 2003 to 2012 the treasury was depleted by Le1,166,564,381,817.40 (over one trillion leones) or over USD$ 292 million. Over USD$ 100 million in 2012 was misappropriated or stolen from the country’s coffers. These are monies that belong to the people that could have been used to fast track development, but was diverted to personal accounts, starving the economy and withholding the much needed funds to pay decent salaries and improve public services for the common man. Sierra Leoneans in general and our politicians in particular look at bribery as standard practice, a cultural norm, and a transaction considered legitimate. The government was in complete denial when Transparency International (TI) reported in July 2013 that Sierra Leone had the highest incidence of bribery in sub-Saharan Africa, with more than 87 % of the population having paid a bribe for public and private services. The then chief of staff Richard Konteh blasted the report as flawed and skewed, saying that the report is a demonstration of TI’s misunderstanding of Sierra Leone’s cultural practices and norms. 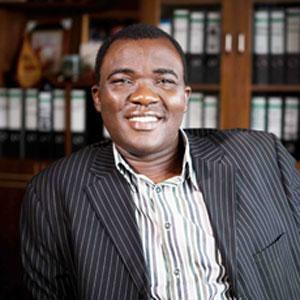 Ironically, a year after coming out in strong defense of bribery as standard practice, the former Chief of Staff, Richard Konteh was himself sacked by the President in June 2014, on allegations of bribe taking and corruption, and not being open and transparent in the conduct of official mining negotiations with a private sector operator – Timber Harvesters, Processors and Exporters (SL) Ltd.
At present, the reward for bribery and corruption when compared to the risks of being caught and persecuted are still considered low by most citizens. Officials are therefore willing to take the ‘risk’ knowing that at worst, they can be content with payment of mere fines, rather than serve jail terms. The mixed messages received from the court system – such as letting corrupt officials off the hook, and the re-hiring of corrupt officials, are inconsistent with the political rhetoric of fighting graft and ending corruption in Sierra Leone. Take the case of current Transport minister – Mr. Balogun ‘Logus’ Koroma (Photo), who replaced Dr. William Konteh, then National Coordinator of the 50th Independence celebrations, was himself sacked when serving as Minister of State in the Vice President’s office in March of 2010 ‘for unknown reasons’. 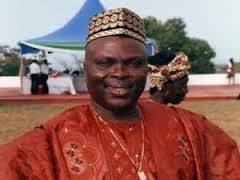 There is the case of former minister of Transport, Kemoh Sesay who was sacked on grounds of cocaine scandal, but has since returned as adviser to the president. Both Karamoh Kabba, Coordinator of the Open Government Initiative (OGI) and Dr Michael Sho-Sawyer, head of the Diasporan Affairs, were relieved of their responsibilities, but still continue to play active role in politics. The former is now serving as deputy minister and the latter as a ‘honorable’ member of parliament. 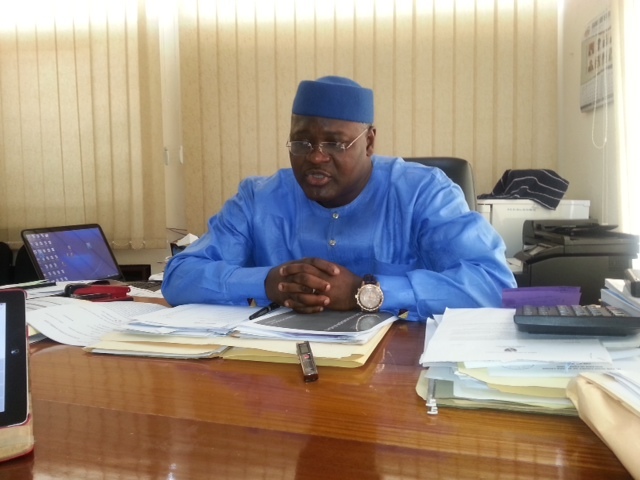 The current financial secretary and former Director General of NASSIT – Mr. Edmond Koroma, was indicted by the Anti-Corruption Commission (ACC) for procurement breaches, but was asked to refund some of the misappropriated funds as a punishment. 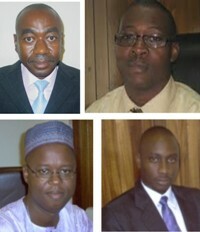 (Photo: Koroma and other Nassit indictees). When those who have been found wanting on corruption charges are being presented with two options – paying a fine or going to jail, the choice is obvious. Corrupt officials are choosing the option of paying their fines rather than serving jail term. When for instance the High Court of Sierra Leone on Thursday 19th May 2011 sentenced the former Director of the Attitudinal and Behavioral Change (ABC) Secretariat, Philip Conteh to a jail term of six years, or alternatively pay a fine of sixty million Leones (Le.60, 000, 000), Dr Conteh chose to pay his fine. Two other ABC Secretariat officials, Alieu Sesay and Zonta Kamara were happy paying fines rather than face jail terms. Dr. Sarah Bendu, SLRTA Director was convicted by the ACC on February 10, 2011, for misappropriation of public property and conspiracy, but she still stands tall in her current position as SLRTA Director. The list is endless. But what has changed? When Transparency International reported in July 2013 that Sierra Leone had the highest incidence of bribery in sub-Saharan Africa, with more than 87% of the population having paid a bribe for public and private services, the government was in denial and criticized the findings of the report. But with the Millennium Challenge Corporation’s (MCC) rejection of the country’s funding bid to secure a compact with MCC in November 2013, on failing the corruption index, it became clear to the administration, our donors and the citizens, that things must change and everyone has to play their part. There is recognition now that bribery is serious, and the campaign to stop bribery has to be fought and won. The Anti-Corruption Commission (ACC) and the Government in partnership with DFID ‘s support have signed an MOU on February 20, 2014 to embark on the ‘Pay No Bribe Campaign’ aimed at containing bribery by reporting it, and educating the citizens through service charters on fees, documentation(s) and processes for the timely provision of basic services. DFID is putting aside a 4.7 million pounds for the support of this campaign. The campaign will be implemented through pilot institutions rolling out their service charters and monitoring of the process. Citizens are to help in the monitoring by calling through ACC hotlines and reporting deviation and progress. The country’s Anti-Corruption Commission (ACC) established in 2000 to fight graft, recognizes that corruption is deeply entrenched in the country’s body politic and cuts right across our governing institutions and private enterprises. 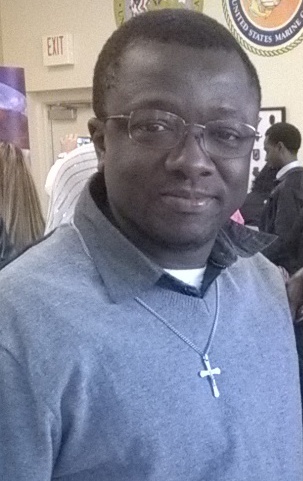 (Photo: ACC Chief – Joseph Kamara). The ACC is making efforts in fighting corruption through education, prevention, investigation and bringing corrupt people to book. The ACC has also launched its own brand of a National Corruption Perception Survey. 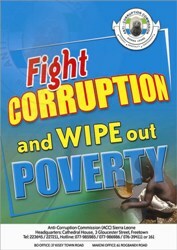 Some progress is being achieved in the corruption fight, given the independence and new powers granted the ACC, to prosecute cases, which doubled in 2012, including the indictment of some 29 health professionals accused of corrupt practices involving the Bill and Melinda Gates foundation funds for malaria vaccine, the recovery of some $4.2 million stolen in 2012, and leading to some 22 major convictions in 2012. Over 500 corruption cases have been reported to the ACC since its inception in 2000, with some 60 convictions. The UK government through its development agency DFID is committed to supporting Sierra Leone’s economic recovery and the fight against corruption. As the biggest bilateral aid donor to Sierra Leone, the UK has committed funds to the government of Sierra Leone of over £150 million from 2008-2011, including £47.8 million in 2008-2009. DFID provided support to the Ministry of Mines in 2009, for the drafting of a mining Act, with a final version that was passed into legislation, giving huge tax breaks to mining companies, with yearly average loss of revenue estimated at US$43.7m. DFID has not shied away from criticizing the government when necessary, for misallocation of donor funds meant to improve the lives of citizens and addressing poverty. DFID had expressed concerns on the mining concessions granted to the mining companies behind its back; monies that could have been used instead to develop the country’s ailing public sector. But DFID’s commitment to the fight against corruption in Sierra Leone has also met with some criticism of their own, from such groups like the Independent Commission for Aid Impact (ICAI). ‘I paid a bribe’ website – How will it will work? Sierra Leoneans at home and abroad (and visitors and other nationals) will be able to access the’ I Paid a Bribe – Sierra Leone (IPABSL)’ website at any time to report a bribe. Information from the bribe report will be used to follow-up with the appropriate ministry or department, so as to take action and improve performance. ‘I Paid A Bribe’: This is where you can add a bribe report if you actually paid a bribe for a service(s) even without being asked to do so. For those institutions and departments, we will be compiling the bribe data and making appropriate follow-ups to drive reforms for public good. ‘I Did Not Pay A Bribe’: Here you can add a bribe report where you stood up and said no to paying a bribe to the department or public officer who asked to be bribed before services can be rendered. Additionally, because of reforms that have been made and put in place by the Anti-Corruption Commission and the departments themselves, processes are changing. And if you engaged in a transaction where nobody asked to be bribed, then such report should be captured here. ‘I Met An Honest Officer’: There are honest and good public officers who are doing their job and never ask for favours or to be bribed. These are officers who have done their jobs right and expect nothing in return. This section of the website provides the space for such honest officers to be recognized and be appreciated. Why ‘I Paid a Bribe’ Campaign? Arguably, Sierra Leoneans from all walks of life have unknowingly or willingly paid a bribe, received a bribe or is a bribe fighter who has stood up against bribery. As bribe givers, Sierra Leoneans have paid a bribe to obtain basic services they are obligated to receive in the first place; have paid a bribe to jump ahead of the queue, or escape penalty and due process. Bribes are being paid to receive important documentations such as passport, National ID cards, driver’s license, business licenses, marriage and birth certificates. From the driver to the police officer, teacher, health worker, banker, administrator, to the business community, government and ordinary citizens, have all paid a bribe – one way or the other. For the ‘I Paid a Bribe’ Team in Sierra Leone, we will be monitoring the process, calling for accountability and pushing for reforms within the appropriate institution or department found wanting by the bribe reports. The campaign has taken off with the launch of the different service charters – including the National Revenue Authority (NRA), Sierra Leone Road Transport Authority (SLRA) and the World Bank’s ‘Ease of doing business in Sierra Leone’. The Anti-Corruption Commission is leading the campaign, but what is critical is the monitoring aspect of the process, and ensuring that the charters are working right as documented for the public good. Bribery will be impossible to eradicate, if nothing is done about it. New ideas with partnership forged, are crucial in framing this narrative and proposing technology to fix a problem that is undermining our economic development. Accountability Alert Sierra Leone (AASL) is taking action on an issue that demands every citizen to play his or her part. Our website (http://sierraleone.paidabribe.in/) sheds light on bribery and provides the tool to consistently engage with the public, hear their stories, their feedbacks and input to trigger the conversation and ultimately push for reforms. In my personal opinion, we must incorporate also the production of Financial Report by every public entity independently on their annual activities, and must be made public for interested individuals for further inquiry. This will help the fight against corruption as interested members of the public will take a keen look at these financial reports and make necessary investigation using the access to information bill. This will reduce fraudulent financial reporting by institutions and thus reduce financial irregularities to a record low level. Let us hope this helps. People must report, but with the largely illiterate public and the reluctance by people to register, it may not get the desired impact. 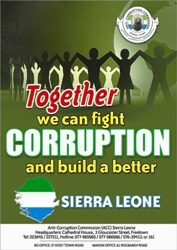 However any and everything should be a step nearer to the objective of a less corrupt Sierra Leone. We are watching very closely. This is a good initiative. However, Sierra Leone’s bureaucracies are bloated and quite frankly public servants are fully aware of how rotten they and their institutions are – but because they are assured of public acquiesance and impunity and given the lack of any public service ethos, they carry on regardless. So to make this really work, the recipient of the bribe should also be named and shamed. It is not enough to only name department or transactions where the bribery occurred. At least then, if they continue in their position, we would know that their mansion at IMATT or their brand new Mercedes M Class or their private school education in the UK or US for their children or their shopping trips abroad are obtained through bribes and institutionalised grafting. Start with changing the leadership: the President, the Mines Minister, the Attorney-General and the entire corrupt cabinet. Unless and until the tone and direction from the top change, nothing will change. It is an open secret that transactions in Sierra Leone which require government approval such as transactions in the extractive industries, telecommunications and the like are routinely stalled until “appropriate” facilitation payments are made. The President has gone so far as to use a British national based in London whose dealings on behalf of the government of Sierra Leone will one day be revealed, as a bag man and “collector” since at least 2009. Even where the transaction or project being proposed is beneficial to the country, roadblocks will be presented until payments are made. It is said that the President expects a piece of every deal and if he does not get what he wants, the deal stalls – even where a cabinet minister or other government technocrat may have sanctioned the deal. In a number of cases, the President has sacked government officials because of worries that he may have been been”double crossed” i.e, not given the appropriate amount based on his view of the value of the transaction. Rivalries between government ministers (the AG vs the Minister of Mines for example) also stall transactions especially where one faction within government comes to believe that the other faction has collected money and failed to share. This cesspool and vipers’ nest creates an impossible to navigate situation for international investors. Those who knowingly make a decision to invest in Sierra Leone only have themselves to blame when they encounter the inevitable blatant, unsophisticated and raw demands for money from Koroma and his cronies. If Sierra Leone does not rid itself of the cancer that is Ernest Koroma, the Koroma family and the wretched facilitators and beneficiaries of corruption who call themselves a cabinet, business as usual will prevail and this new reporting system will not achieve much. What a way to run a country! The long-suffering people of Sierra Leone deserve so much better. Please name and shame this British national and ensure that he or she is reported to the UK authorities.